The Magic in the colors-mix, Faraz Manan Lawn 2017 has been unveiled. A collection of Spring prints available from Dress Republic Online Shop. Every design of the collection is vivid, colorful and easy to wear that will simply take your breath away. 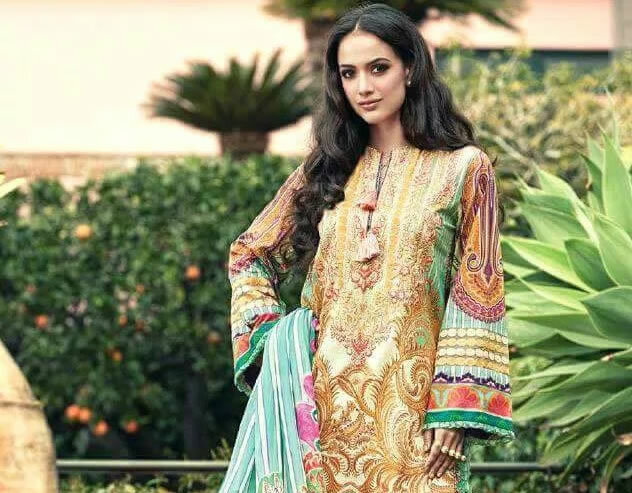 The Pakistani fashion designer and lawn brand has been popular among Bollywood star Kareena Kapoor, though this time the Bollywood doll is not the face of Faraz Manan Lawn 2017 collection.